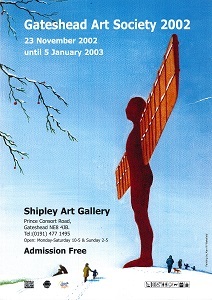 The 2008 poster -art by Mary Davison. 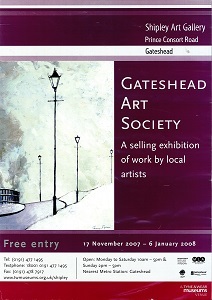 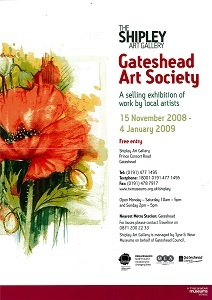 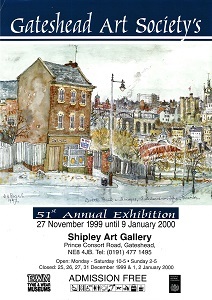 The poster on the right, above, was for the rescheduled 2009 Exhibition (Jan-Feb 2010) art by John Fulthorpe. 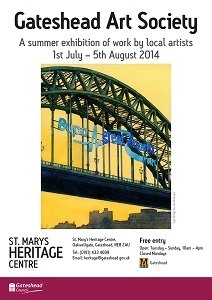 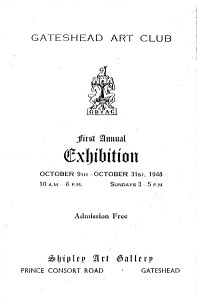 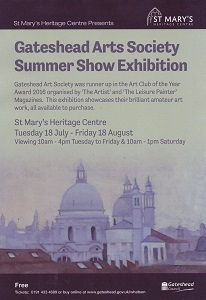 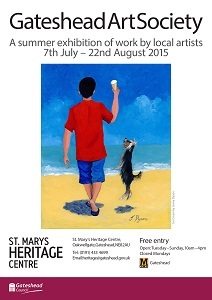 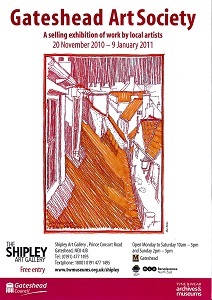 The 2012 poster -art by Allan White & the 2014 Summer Exhibition poster with art by Joe McGregor. 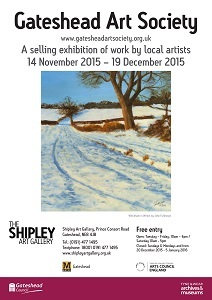 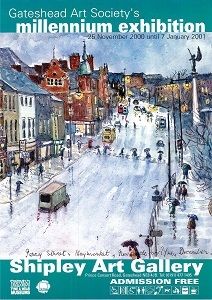 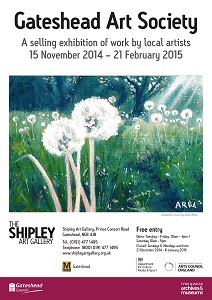 The art for the 2015 Winter poster, above left, was by John Fulthorpe. 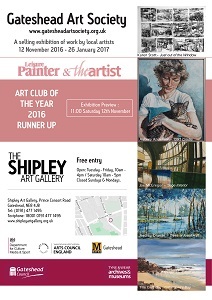 The 2016 poster celebrated our runner up place in the National Art Club of the Year Competition and showed art from the competition entry. 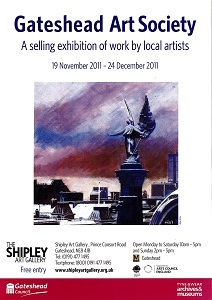 From the top they were; Karen Stott, Aubrey Anderson, Joe McGregor, Audrey Drynan and Tim Griffiths. 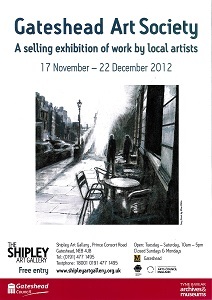 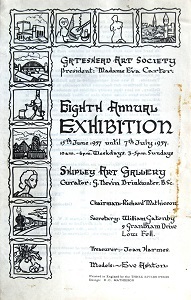 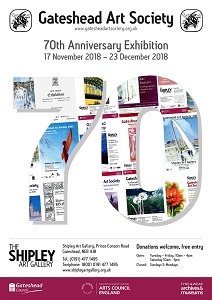 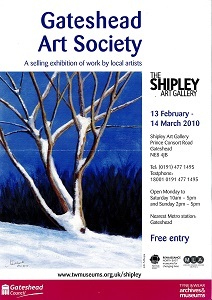 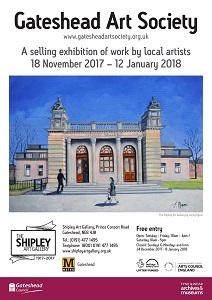 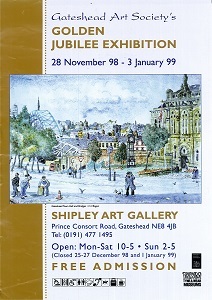 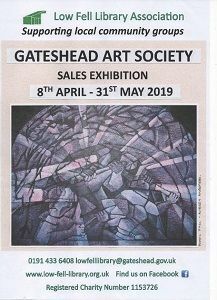 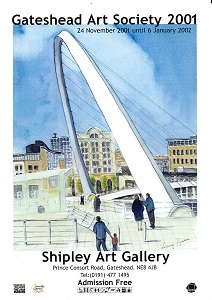 The Summer Exhibition poster of 2017 had art by Jenny Dyson as had the Winter 2017 poster celebrating The Shipley Gallery centenary.